While consumer tastes have definitely shifted to car-like crossovers, the numbers of best selling SUVs in 2010 prove that many still want and need a go-anywhere SUV that can handle family needs for passenger and cargo capacity. The best selling SUVs in 2010 are listed here in descending order, according to sales numbers. 82,044 in 2009. 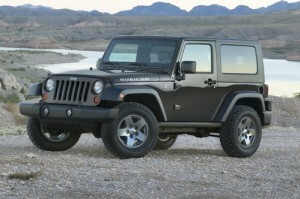 Wrangler is available in four models: Sport, Sport S, Sahara, and Rubicon. Starting manufacturers suggested retail price (MSRP) ranges from $22,045 (Sport) to $29,245 (Rubicon). 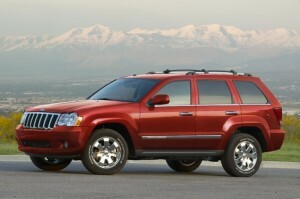 rugged four-wheeler and luxury SUV posted 84,635 sales in 2010,up 68 percent from 50,328 in 2009. Four 2011 models: Laredo 4×2, Laredo X Package 4×2, Laredo 4×4 and Laredo X 4×4, have starting MSRP ranging from $30,215 to $36,215. Chevrolet Tahoe – Reviewers note that Chevrolet Tahoe is a great-driving SUV that can carry up to eight people, tow up to 8,100 pounds (6,200 in Hybrid), and has 108.9 cubic feet of cargo capacity. Sales of 75,675 units in 2010 were up 3.3 percent from 73,254 in 2009. Available in 2WD and 4WD, in LS, LT, and LTZ models, as well as a Hybrid, starting MSRP for the 2011 Chevrolet Tahoe ranges from $37,570 to $51,055 and from $50,795 for Tahoe Hybrid. and Jet Sport 4×4 models, Liberty is powered by a 3.7-liter V-6 engine. EPA-estimated fuel economy is 16 mpg city/22 mpg highway (2WD models) and 15/21 in 4x4s. Starting MSRP ranges from $23,250 to $26,360. Toyota 4Runner – Available in 2WD and 4WD models, Toyota 4Runner posted 2010 sales of 46,531, up 138 percent from year before sales of 19,675. The fact that Toyota introduced the fifth-generation 4Runner for 2010 probably accounts for much of the sales increase. Three 4Runner models, SR5, Trail, and Limited have starting MSRP ranging from $29,675 to $39,835. Chevrolet Suburban – With 2010 sales of 45,142 (versus 41,055 in 2009), the half-ton and ¾-ton Chevrolet Suburban large SUV clearly offers maximum passenger and cargo capacity, along with impressive towing capability. Suburban is available in three models, LS, LT, and LTZ, in 2WD and 4WD, with starting MSRP ranging from $40,925 to $56,170. Ford Expedition — If you need to tow a large boat or camper-trailer, you can’t beat the power, comfort, and capability of Ford Expedition and Expedition EL large SUVs. These are truck-based, old-school full-size SUVs. Starting MSRP for eight Expedition models ranges $36,900 to $49,030. 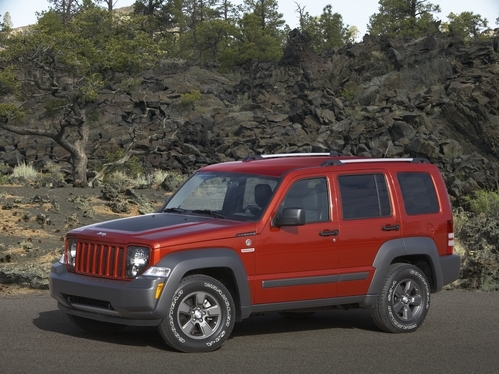 Jeep Patriot – Comfortable and affordable for a capable off-road SUV, the compact, five-seat Jeep Patriot scored 38,620 sales in 2010, up 23 percent from the 31,432 sold in 2009. For 2011, Patriot benefits from refreshed styling, is available in two-wheel drive (Sport 4×2 and Latitude 4×2) and four-wheel drive (Sport 4×4 and Latitude 4×4) models, and has starting MSRP ranging from $15,995 to $21,395. GMC Yukon – Like Chevrolet Suburban and Tahoe, the GMC Yukon is a large, truck-based SUV. Sales of GMC Yukon in 2010 were 28,781, down 2.1 percent from 29,411 in 2009. Yukon is available in SLE, SLT, and Denali trims, with starting MSRP ranging from $38,535 up to $58,990. Yukon Hybrid starts at $51,200. GMC Yukon XL – Similar to Chevrolet Suburban in length and powered by the same 320-horsepower Vortec 5.3-liter V-8 engine, the GMC Yukon XL sold 23,797 in 2010, up 41.6 percent from 2009 sales of 16,819. The 2011 GMC Yukon XL has a starting MSRP of $42,005.